Overton resident, Jacky Lessware, recently celebrated her 80th birthday. 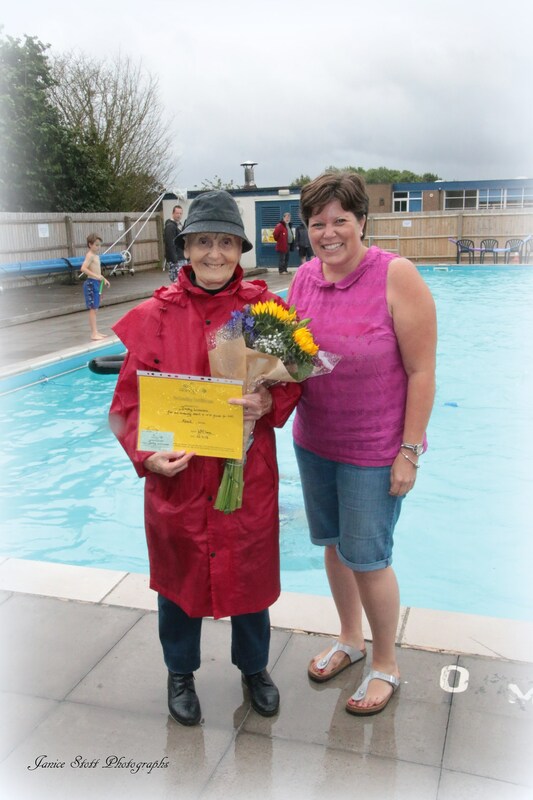 She hoped to mark this with a parachute jump to help raise funds for Lordsfield Swimming Club and Overton pool. Why this cause? “I had my first swimming lesson at the age of 5 in my local swimming baths and it has given me great pleasure ever since", says Jacky. The Club provides affordable swimming for all young people in the village throughout each summer, and shares the running costs of the pool with the local school to enable children to swim in school time too. 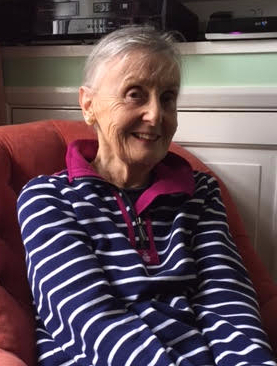 A hip replacement operation, however, delayed her plans. 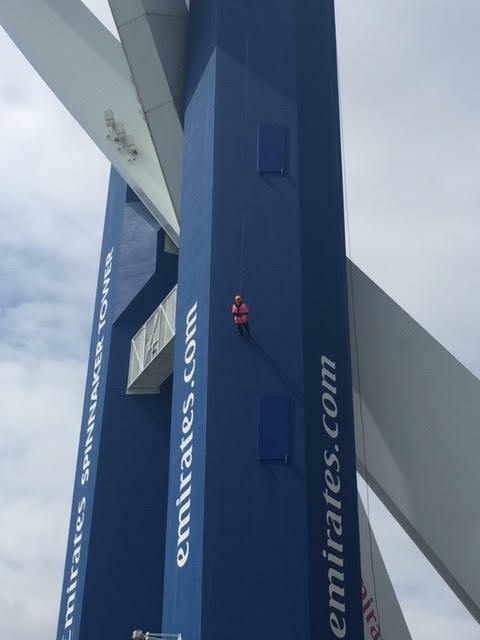 Following advice from her surgeon, she then decided, at 81 years old, to complete an abseil down Portmouth’s 170m Spinnaker Tower instead. 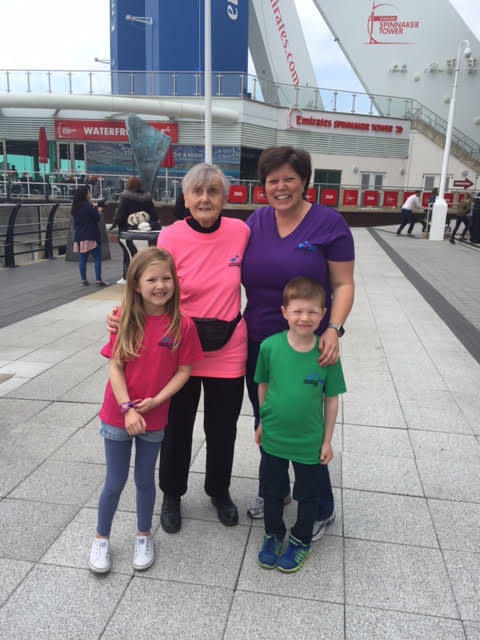 Jacky’s amazing challenge took place at 2pm on a warm sunny Sunday afternoon in May 2017. Friends and members of Lordsfield Swimming Club positioned themselves at the base of the tower and looked to the skies to marvel at Jacky's efficient 100m descent in less than 10 minutes. Jacky sported a specially designed bright pink club T-shirt and wore a headcam which captured her feat and which you can view below. "What fun!" Jacky exclaimed on finishing. "How about a wing walk next...?" Jacky's effort has so far raised a fantastic £1,600. There's still time to donate! You can do so online at cafdonate.cafonline.org/5944 or drop a cheque, payable to Lordsfield Swimming Club, through Lauren's door at 83 Winchester Street, Overton. 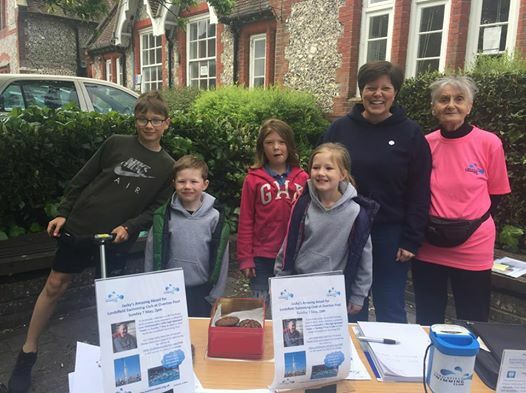 A huge 'well done' to Jacky and thanks to everyone who has supported her in this endeavour! Jacky has since been made an honorary member of the club in recognition of her amazing fundraising effort. 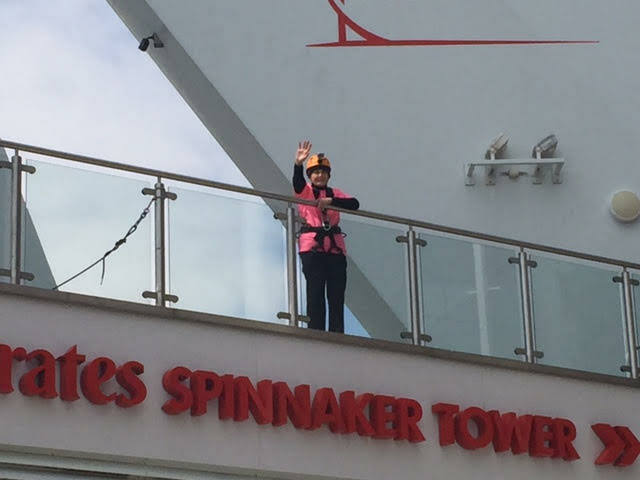 Headcam recording of Jacky's abseil of Spinnaker Tower, 7 May 2017.